What combines the excitement of Tomb Raider as a franchise with the classic adrenaline rush of slot machines? None other than the Tomb Raider online free slot game of course! 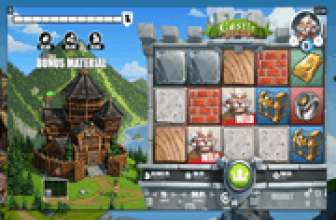 This virtual game of free slots is one the most exciting gaming adventures the slot machine genre has to offer. Players will play as Lara Croft, the famous adventurer of the Tomb Raider franchise. The story of Lara Croft and her amazing exhibitions from around the world managed to inspire a gaming franchise. With the entire franchise boasting two movies and four groundbreaking games, the slot machine version of Tomb Raider has got to deliver! Lara and players will venture the globe in search for riches, relics and crazy adventures while making a few friends along the way. To understand Lara Croft and this free slots game, players would play better if they knew the adventures she consistently engaged in. Lara was raised by her father Earl of Farringdon. She attended school for the appropriate amount of years and decided to travel. At the age of 21, Lara survived a plane crash. This experience managed to spur her to shun her former life and seek other adventures around the world. Croft wrote books and other published works based on her exploits as a mercenary, big-game hunter, and master thief. This is where her love for adventure was birthed. Even though the series has received numerous reboots, the character and thirst for adventure has remained unchanged. Altogether, there are 15 paylines and five spinning reels Tomb Raider game. 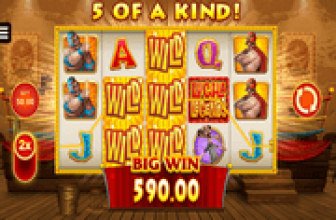 This allows players to have numerous chances to win big during every spin. Across the lines and reels, there are plenty of icons inspired by the Tomb Raider series scattered throughout the game. The game pieces are an old temple statue, a golden artifact, the official logo, an angry tiger and two Tomb Raider symbols. Symbols of Lara Croft crouching on the ground and one of her brandishing a pistol in each hand, give off the classic Tomb Raider vibe that fans have come to embrace. In the tradition of slot machines, there are also playing card symbols scattered throughout the game board. The slot machine board is strategically set up to give the players the best quality experience. In order to win the jackpot, lines must match the pre-approved regulation patterns. The patterns being corresponding symbols appearing in a straight line, diagonal line, ascending line, descending line, and alternating line. The betting options include the value of the coins used, the number of lines and the amount of coins players have placed on each line that they have activated. Players can bet between no less than 0.05 coins and at most 18.75 coins. With such a wide betting range, this intense game can be very attractive for a wide array of players. High betting players can feel the rush that they come to love. While new players can try their hand at a more exciting game. For players who maybe haven't played in a while, the Tomb Raider slot machine game can also serve as a refresher course. At any point in time, the player can pause the game and click on the information link in order to double check rules. Having a firm understanding of the rules and ways of the game will ensure that every player wins every time! Are you ready for the biggest and the most exciting gaming adventure of your life? You better be, this is because this is exactly what this game will offer you. It will allow you to tag along with Lara Croft, the famous Tomb Raider. The saga of Lara Croft and her amazing adventures around the world has inspired a gaming franchise that has more than 4 games and two movies. All of them are themed around Lara and her escapades across the globe in search for hidden riches, stolen relics and mysterious phenomena. 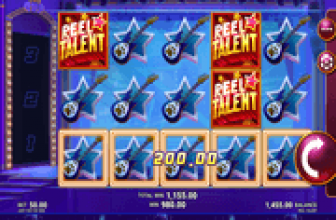 This exciting game is offered to players in five spinning reels and 15 paylines. Across these lines and reels, players will see plenty of icons that are inspired by the Tomb Raider and her adventures. These symbols include a long lost golden statue, a mysterious relic, a vicious tiger, the logo of the game and two tomb raider symbols, one of them she is crouching on the ground while the other shows her face while she holds two hand pistols. Also, players will see poker card symbols. Players can place their bets at the bottom by going through the available betting options. These options include the value of the coins used, the number of lines and the amount of coins players want to place on each line they activated. The game’s wagering range varies between 0.05 and 18.75 credits per spin. This wide betting range made the game attractive for both high rollers and new players. The logo of the game is its wild card and it is also the highest paying symbol. It is wild, so it can substitute for any of the other symbols that appear on any of the game’s reels and lines.